Rengar, probably the most hated champion among AD Carries and the supports who get flamed for not peeling correctly. 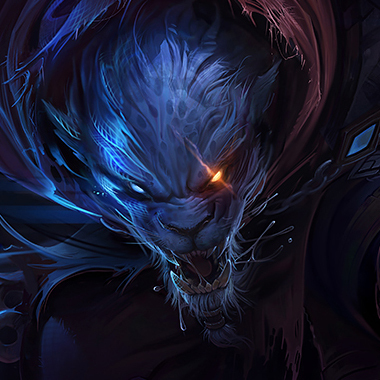 Rengar is an AD Assassin who farms the jungle, typically until level six, though not always. He has one shot potential, and temporary invisiblility that allows him to look for picks on people who don't always have the chance to run away before they find themselves staring at grey screen. Rengar is unique in the fact that he has a ferocity mechanic that empowers his abilities as opposed to any sort of depleting resource. 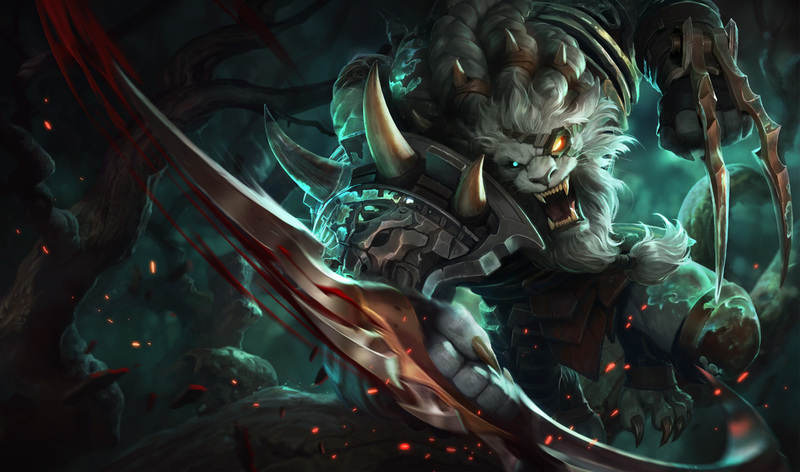 ⦁ Passive - UNSEEN PREDATOR: While in brush or in stealth, Rengar gains a leap range and his basic attacks cause him to dash to his target outside his attack range. This bonus lasts for 0.5 seconds upon exiting brush or stealth. Unseen Predator occurs regardless of whether or not his target has sight of him. 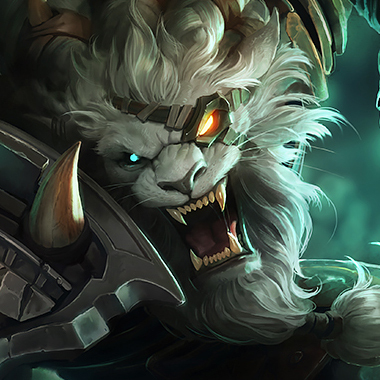 ⦁ Passive - FEROCITY: Rengar generates 1 Ferocity whenever he damages an enemy with an ability. Upon reaching 5 Ferocity, his next basic ability is empowered, can be cast independently of its basic version's cooldown, incurs no cooldown of its own and consumes all of his Ferocity. 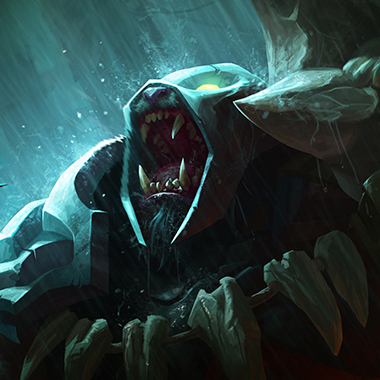 ⦁ Passive - BONETOOTH NECKLACE: Rengar gains a trophy whenever he scores a champion takedown and gains bonuses based on how many he has. -3 TROPHIES: Hunter's Domain: 25 bonus movement speed while out of combat or in brush. -6 TROPHIES: Unseen Predator's range is increased by 125. -12 TROPHIES: Thrill of the Hunt's duration is increased by 5 seconds. -20 TROPHIES:Thrill of the Hunt's bonus movement speed while stealthed is doubled. Rengar's next two basic attacks gain 40% bonus attack speed, with the first within 3 seconds dealing bonus physical damage. Empowered Savagery: Savagery's bonus physical damage is increased and applying it grants bonus attack speed and bonus damage for 5 seconds. Savagery resets Rengar's autoattack timer. Rengar lets out a battle roar, dealing magic damage to nearby enemies and gaining bonus armor and bonus magic resistance for 4 seconds, increased by 50% for each affected enemy champion or large monster. Empowered Battle Roar: Battle Roar's base magic damage is and using it heals Rengar. Battle Roar and Empowered Battle Roar's bonus resistances do not stack with each other. Rengar throws a bola in the target direction, dealing physical damage to the first enemy hit and slowing them for an amount that decays over 2.5 seconds. Empowered Bola Strike: Bola Strike's base physical damage is increased and using it roots its target for 1.75 seconds. Rengar channels his predatory instincts, gaining stealth after 1 second of not taking damage or 3 seconds, and true sight of all nearby enemy champions for 7 / 12 seconds or until Rengar damages an enemy with one of his abilities or basic attacks. While stealthed, Rengar gains bonus movement speed while moving toward a nearby enemy champion. Enemies are made aware of Rengar's presence if he is nearby. Upon exiting stealth, Rengar gains bonus movement speed and generates 5 Ferocity over the next 5 seconds. 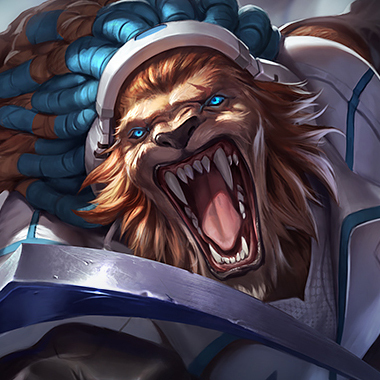 Rengar gets low early, and will rely on Ferocity empowered Battle Roars to survive the jungle, with a strong counterjungler, killing him in his jungle comes easy. Rengar is an assassin and as such, is relatively squishy. A good Rengar will always look to come after the main fight, if you can save your CC for him, he's an easy pick for your team. 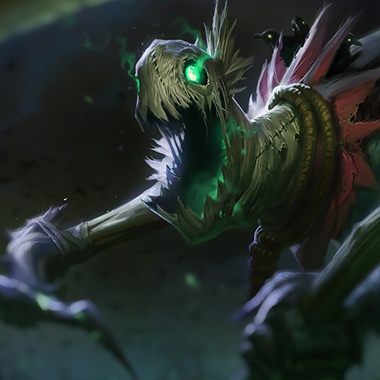 A great deal of Rengars strength comes from being invisible, so saving combat pink wards for him, or even just carrying a sweeping lens so that you know his position negates a large amount of the advantage he can pull on your team. Grouping with someone greatly reduces Rengars strength. Especially if that someone has hard CC. You want to jump on my team? Taunt. You want to try and 1v1 me with your enhanced auto's? Taunt - Defense Curl. Do you want to do anything ever? Taunt, and watch as my team kills you. 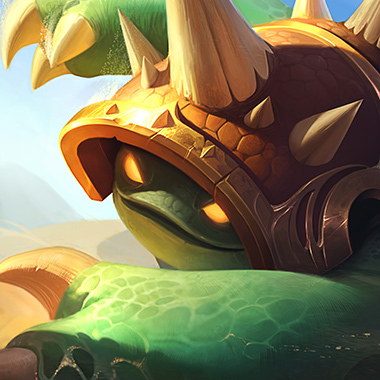 Rammus doesn't particularly beat Rengar in the early game, but at every point after that, he just denies everything Rengar wants to do, while still have more versatile level 3 ganks. He wants to jump on your team? You can just jump on him jumping on your team with your ult. Or just fear him and watch your team take their violent revenge on him. This is another champion that laughs at everything Rengar wants to do, and makes him hate his life. This is pretty straightforward. She stuns him six times and hits exhaust and then Rengar dies. She's also tanky, so she's not very scared of getting close to him and consistently hitting Q until someone finally kills him. Invincibility, CC and Armor. 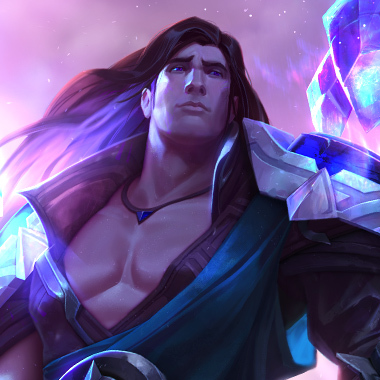 A good Taric is going to get a Rengar killed, while he protects his AD Carry. Much like Leona, it becomes a CC into exhaust situation, and then Rengar dies. Armor and vision. Randuins and Sunfire Cape are important here. Randuins decreases the damage you take from his Q (I mean, all armor does, but Randuins specifically) and Sunfire Cape punishes him for being close and allowing you to survive. A sweeping trinket is also good to give your team his position in grouping scenario's. 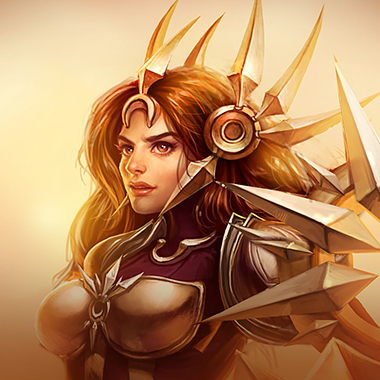 And for the time being, a holding a combat pink ward will also give you an edge.